Volunteers and community involvement are vital to the work that we do at DCS. There are many ways to support foster families and children in our care. Donate money or material goods to one of DCS' partnering foster care organizations. You can also give monetary donations or material goods (beds, clothing, backpacks, etc.) to a nonprofit organization that supports foster care in Arizona. For help in finding an organization near you, email [email protected]. Become a Court Appointed Special Advocate (CASA). CASAs are volunteers who provide support to neglected and abused children, and represent their best interests: http://www.azcourts.gov/casa. Join the Foster Care Review Board (FCRB). Advise the juvenile court on progress toward achieving a permanent home for a child in foster care: http://www.azcourts.gov/fcrb. Volunteer at a Children's Heart Gallery Photo Shoot. Serve as a guide for children in need of loving, adoptive families. Or use your skills as a professional photographer or hairdresser. Go to childrensheartgallery.org and click "Contact Us." Volunteer at holiday, back-to-school, or other events for foster children and families. For a list of opportunities, email [email protected]. Mentor or tutor a child in foster care. For more information, email [email protected]. 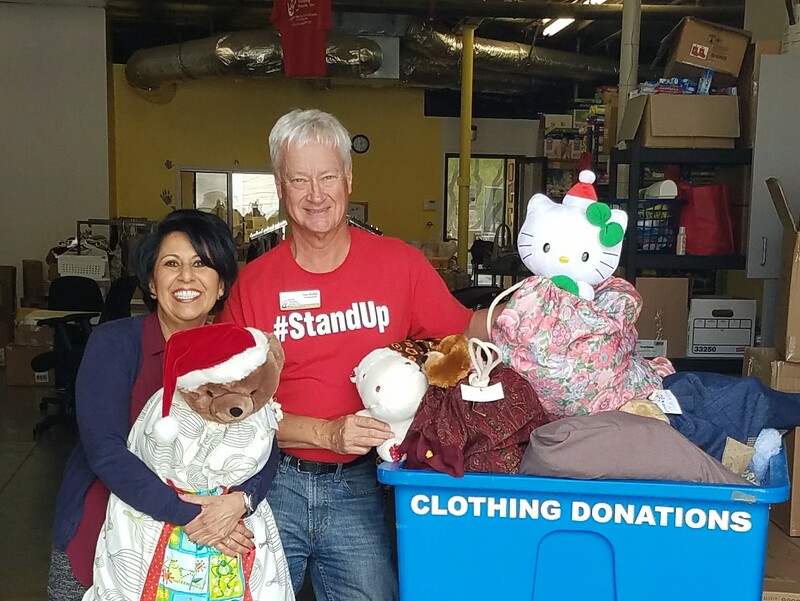 Involve your business, school, organization or faith-based community by collecting toys or supplies to support foster children and families. For ideas, email [email protected]. Host or sponsor an event for foster families. If you own a business, you can sponsor an event or activity for one or more foster families. To connect with an opportunity near you, email [email protected], or visit the volunteer interest form page. Invite a foster family over for dinner, or take them a meal. Help foster parents avoid burnout by offering your care and support. Not everyone is able to foster or adopt a child. Community members have sewn quilts for children, collected basic necessities, and provided memorable family outings. If you have an idea, or would like to find out what the needs are, please contact us by emailing [email protected].